Understanding biological phenomena is one of the aims for natural science. 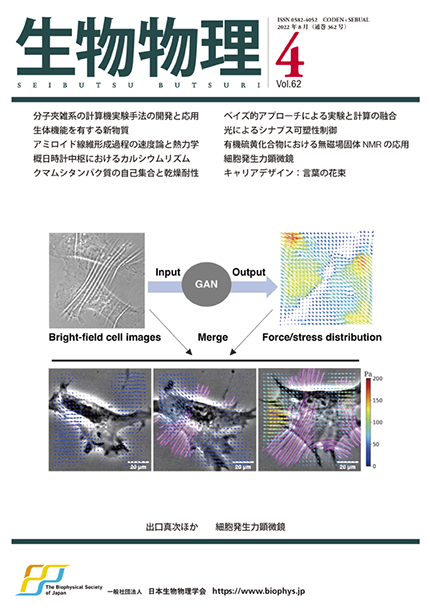 Interdisciplinary approaches by applying physical techniques to biological sciences are coming to unveil those questions. 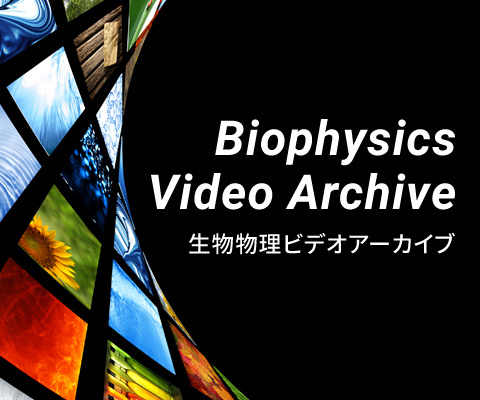 The Biophysical Society of Japan is to advance collaboration of researchers from different disciplines by providing a place for exchanging knowledge, methods and techniques and is to promote biological sciences for further understanding of biological phenomena. The message from Bruno ROBERT, the President of the French Biophysical Society. EndNote style file is now linked to the Instruction for Authors page. BPPB now adopts a graphical abstract system and improves the communication method with the society. The detail can be found in the instruction for authors. All articles of BPPB, published after today, are licensed under a Creative Commons BY-NC-SA license. 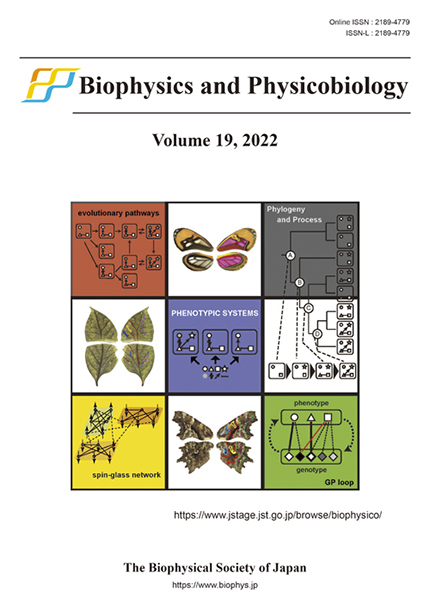 Submission for the Special Issue on the database for biophysics and physicobiology research is open. The detail of the special issue can be found here. The journal is now on PubMed Central(PMC). Copyright section in "Instruction for Authors" has been updated.